Donna Trenton: Well, looks like we've arrived, Tadder. Tad Trenton: Yeah, but is anyone home? Tad Trenton: I can't get my seatbelt off! Tad Trenton: I wish Dad would get a new car. 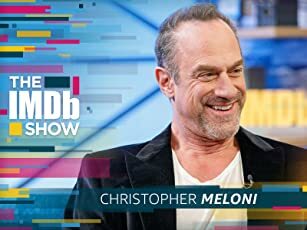 Donna Trenton: So do I.
Q: Does Donna get rabies? Q: Any recommendations for other movies where people are trapped by killer dogs? 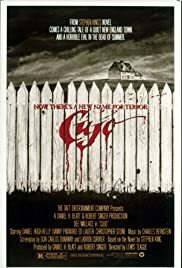 I think of Cujo as "realistic horror" because it is something that could really happen. People really do get killed by rabid dogs...this film just exaggerates the truth a bit. I can't say I really enjoyed this film as it is not what I look for in horror films. It's a very good film - well acted, well directed, suspenseful and emotional, but it's not really "fun" to watch. It starts off with the dog getting infected, and from then on tension is built up slowly as you sense the dog is getting angrier and angrier. Eventually it snaps and starts killing people. 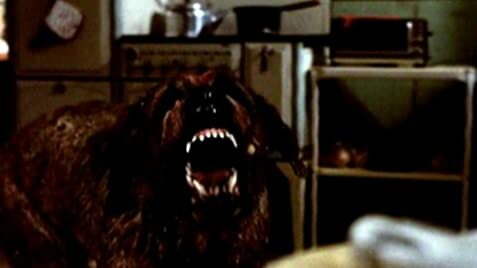 The bulk of the film focuses on when Donna and her son are trapped in the broken down car because Cujo attacks whenever they try to leave. You can feel all the desperation, pain and isolation of Donna and her son as they lay trapped inside. It makes you think twice about dogs and certainly what you would do in such a situation. Would you run, attack the dog, or wait until help arrives? This is not a fun, campy or cheesy horror film, so don't watch if you're a fan of cheese. It's for those who want to feel suspense, fear and pain.